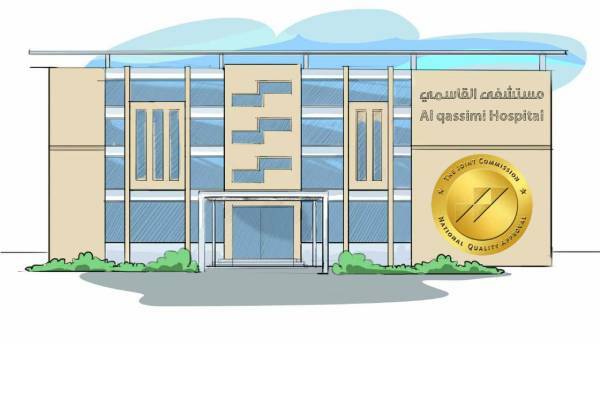 The Ministry of Health and Prevention has announced that the Al Qassimi Hospital in Sharjah was recently awarded an international accreditation by the Joint Commission International (JCI) after passing the rigorous assessments used to classify global institutions providing high-quality patient care. The JCI team conducted field visits to the hospital to evaluate its implementation of processes and procedures based on the internationally recognised standards for medical institutions. The award comes at a time where the UAE continues to maintain its number 1 ranking globally in terms of the highest number of accredited health institutions. Abdul Rahman Bin Mohamed Al Owais, Minister of Health and Prevention, said that the international recognition bestowed on the hospital is a major boost to the country’s efforts to become globally competitive and sustain a leading position in the international health industry as per the vision of the UAE leaders. The UAE Government has launched a series of strategies and initiatives to establish its leadership in the medical field and keep up with latest global industry developments such as personal medicine, telemedicine, and digital health. These initiatives, including the UAE Strategy for Artificial Intelligence and the Fourth Industrial Revolution, are designed to establish advanced predictive models for patients, put in place strong health infrastructure, build national centres specialising in disease control and prevention, and enact legislations to control infectious and non-communicable diseases. Undersecretary Dr. Muhammad Salim Al Olama said that Al Qassimi Hospital is one of the largest Ministry-run hospitals in the country, providing efficient services across disciplines and specialisations. "Thanks to the support of the country’s leaders, the UAE led by the Ministry is constantly enhancing the local health services to ensure patient safety by observing the best practices and the highest ethical, governance, and auditing standards. The hospitals also embark on research activities to improve the quality of health care, increase their competitiveness, and attract international confidence in their capabilities to deliver effective medical care." He added that Al Qassimi Hospital’s international accreditation formed part of the Ministry’s efforts to provide comprehensive and integrated health care; build quality and safe health systems; and instil a culture of innovation in the sector to improve the results of the national indicators. International accreditations are essential to improving the quality management system in the country’s health facilities for the delivery of services that meet global protocols and standards.